Words can't express how amazing these little bottles have been throughout my pregnancy, labor and delivery, and have already been for support postpartum. This was definitely the most challenging and unbearably sick pregnancy I've ever had and I could tell a huge difference on days that I used my oils versus the days I didn't. The changes made to my life (and Landon's and Blair's) with essential oils was a huge game changer for us. I used my oils my entire pregnancy, during labor, and have continued to use them post partum. I have LOVED knowing I'm using something so natural, pure, & safe. I'm only 5 days post-partum and I can already tell a huge difference in how I feel now versus how I felt post-partum with L & B. I truly wish I had only started on this journey years ago!! - Aroma Ease to battle my non-stop morning sickness. This is an amazing Young Living blend that has ginger root oil extract as well as peppermint essential oil which helped IMMENSELY with nausea. I was soo sick the entire pregnancy and only wish I discovered this one in my first trimester!! I diffused this one every.single.day since I got it at about 28 weeks. - I also diffused and absolutely loved Abundance - this smells like a dream and it really (!) helps bring out feelings of gratitude, tranquility, peacefulness, and fullness of life. 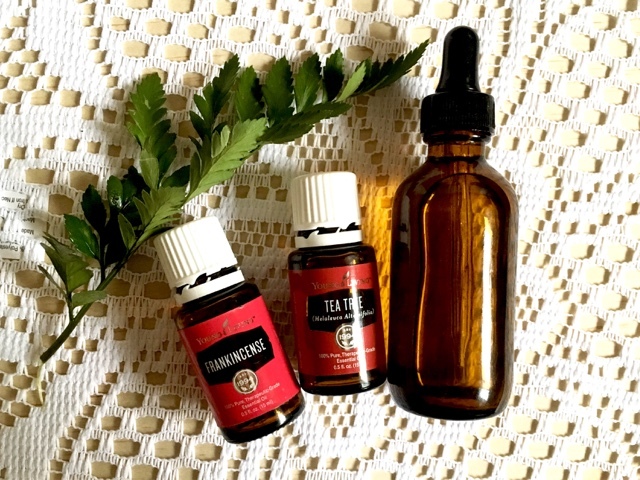 - I used Frankincense and Tea Tree in my facial oil cleanser (twice a day at morning and at night), which helped soo much for my skin. I had some bad hormonal breakouts in the beginning of the pregnancy and the Frank + Tea Tree combo in my oil cleanser made it go right away. 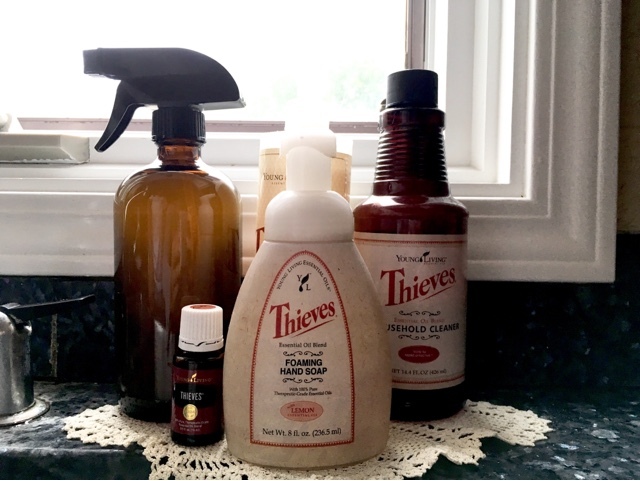 - I use(d) the Thieves multi-purpose household cleaner and it was honestly the only cleaning agent I could (can still only) stand the smell of. It smells simply amazing and will make you super happy when cleaning your house (its a blend of cinnamon, lemon, eucalyptus, and cloves and words do not do it justice). It works tremendously well on all surfaces and is 100% natural so it gave me complete peace of mind cleaning like a crazy lady throughout my third trimester nesting slash OCD, and also with a fresh newborn baby. 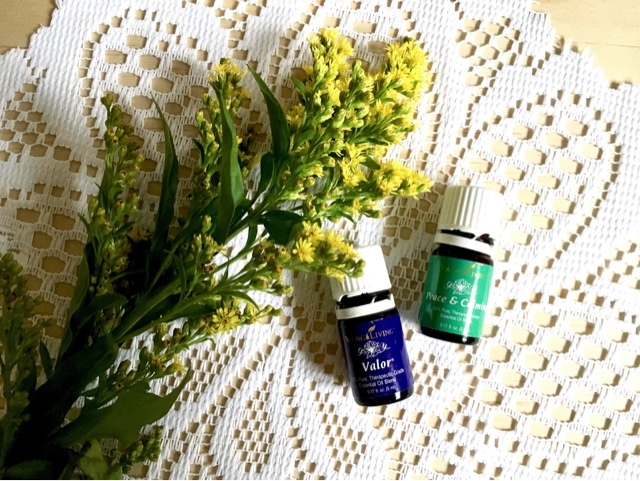 * This is a great post about oils and pregnancy! - I had Peace & Calming diffusing all day during pre-labor. (I also diffused and put on my wrists during anxious/stressful days throughout the third trimester). -Valor on the wrists for emotional support and strength. 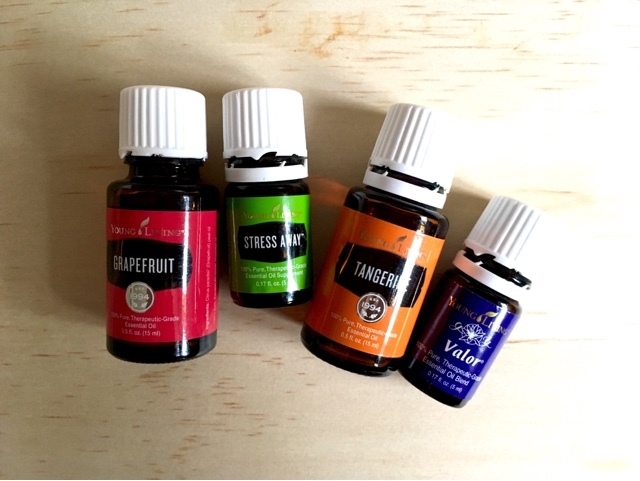 - I also love Tangerine in the diffuser, by itself or also mixed with Grapefruit. It's so happy and uplifting. - Stress Away, speaking for itself. - I'm also still also loving Abundance and Gratitude post-partum as well. I could honestly go on and on about how much I love my oils and what they have done for my life. But if you want more info, please email me! & do your research....oils do not have to be intimidating! I am forever grateful for what they have done for me and my family. (WHOLESALE/distributor is the way to go even if you never, ever, ever want to sell a thing- you'll get the 24% off discount forever and only need to spend $50 a YEAR! ZERO strings attached). ALSO: Not only is Young Living offering a FREE 15 ml bottle of Cedarwood oil with the purchase of the Premium Starter Kit this month, but I will also give you a $10 gift card to any store of your choosing if you sign up with my link the during the month of August + buy the Premium Starter kit. (I've been diffusing Cedarwood + Lavender in Blair's diffuser every night and it's been HUGE to get her sleeping all the way through the night. And it smells amazing. (Of course). She calls it her 'magic potion' and won't go to sleep without it running). And last thing but really important is when you sign up with someone, you are joining their team. Make sure you do your research -- My team provides classes, resources, webinars, online events, business training (if interested) and is a beautiful community and support line that feels like family. <3 There's no better time to start your oily journey, I truly wish I had only done so sooner.